There are places in Iceland that simply have to be experienced. 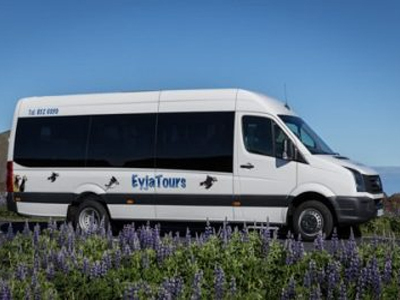 Vestmannaeyjar fill that group by virtue of their natural beauty, the bounty of their wildlife, particularly birds, and by being historically and geographically one of Iceland´s most distinctive places. The islands are part of a young and still active submarine volcanic system, most of them coming into being 10-20.000 years ago. The youngest of the group, however, Surtsey, south of Heimaey, only grew from the sea floor in episodic eruptions from 1963-1966. The famous eruption on Heimaey, the largest and sole inhabited island was, however, even more spectacular. It began in January 1973, lasting until early July. The cone Eldfell (fire mountain in Icelandic), rose, the island became 2,3 km² larger and block lava flows and ash burned or buried almost 400 buildings. 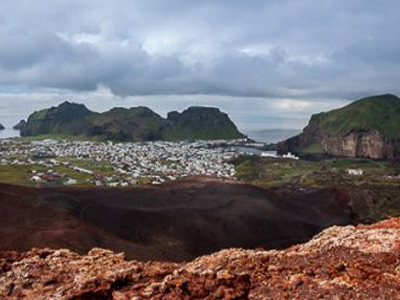 The remains of the eruption are among the island´s most fascinating historical locales. 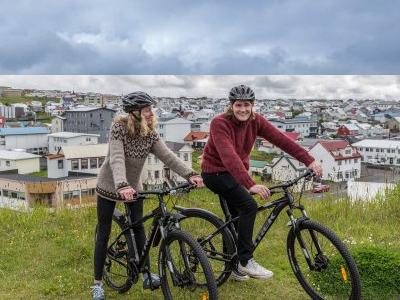 From the time of Herjólfur Bárðason the first settler, residency has been continuous. The population has taken three big dives throughout the centuries. 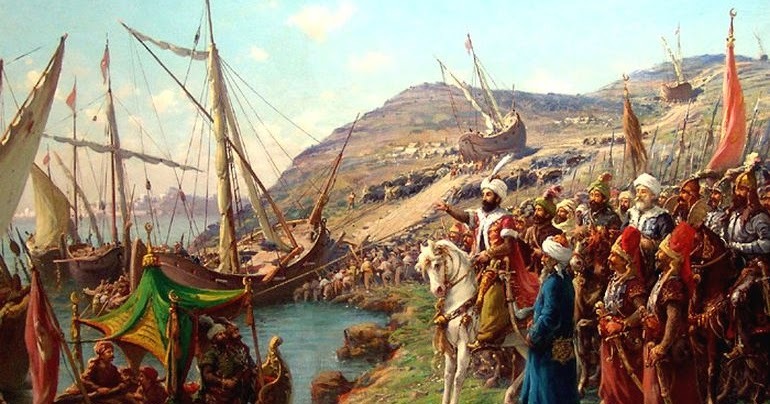 First, half of the population was taken in the Turkish invasion, when up to three hundred people were stolen and sold as slaves in 1627. The second time the population went down in the infant death in the 17. century. And then in the 19. century in the eruption in 1973 when for six month period only 200 people lived on the Island. Then 5000 people had to evacuate the Island in one night. Now there are about 4300 people living on the Island. The island was settled around 920 and was Herjólfur the first settler. He lived in Herjólfsdalur and had a daughter named Vilborg. The island was mostly owned by the farmers up to the middle of 11. century. Just after the year, 1400 king of Norway owned the island and later the Danish king when Norway was owned by Danmark. The island had their own law, different from Iceland in these times. The island was a property of a king all through the middle ages and til 1874 and they were one of the highest income of the crown. 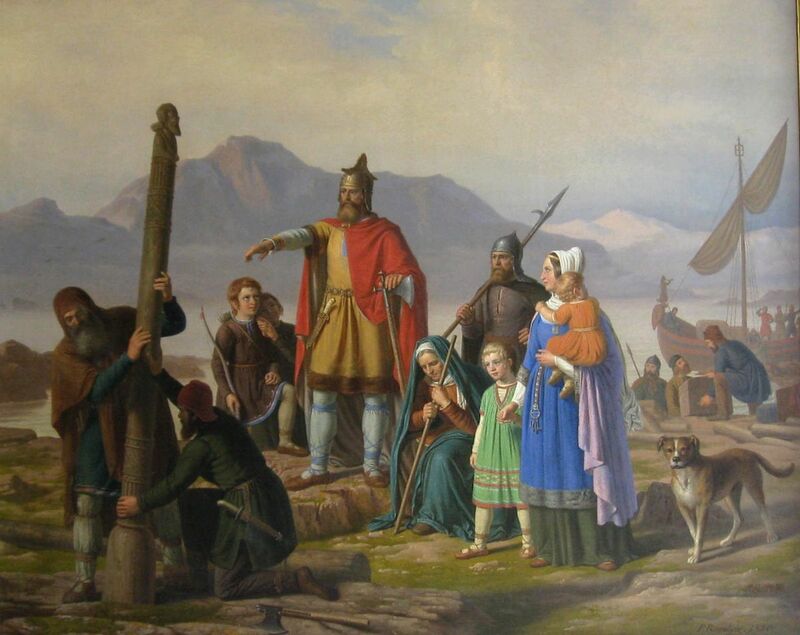 Ingólfur Arnarsson was the first settler in Iceland. He settled first at Ingólfshöfði and was there for a winter. Then he went south with the country and went to visit the farm of his foster brother Hjörleifur. When he got there he saw that his brother had been killed and saw a boat with Hjörleifur’s slave escaping. They were heading towards an island south of Iceland. The slaves were Irish, but people in those days called them West men. Ingólfur followed the slaves to the island and killed them one by one and that is why the island was named Westman Islands. In the summer of 1627, a group of pirates invaded Iceland. 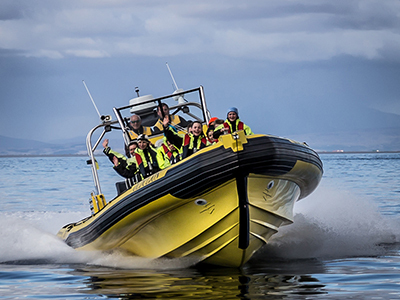 They captivated a few Icelanders in Grindavík and then sailed to the East-fjords. 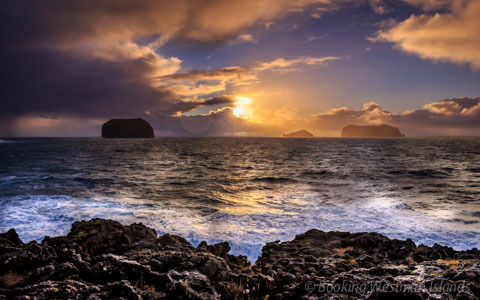 From there they turned back and sailed to the southern part of the country and on July 16th, 3 pirate ships arrived at Vestmannaeyjar. As the main harbour was quite well defended, the pirates sailed toward the southern part of Heimaey and send a group of men on shore at a cove which later would be named Pirate’s Cove. A local businessman, Lauritz Bagge, had followed the ships along the shore riding on his horse. When he saw the pirates take land he fired his gun at them, which the pirates only replied with shouts and calls. The businessman returned to town and fled on a ship to the mainland. The pirates came sailing from Algiers, the capital of Algeria in Africa. During this time, Algeria belonged to the kingdom of the Turkish sultan and therefore people refer to it as the Turkish invasion. The Pirates proceeded to pillage and plunder, burning farms, houses and the church, and killing or kidnapping 242 of the island’s 500 inhabitants. Those who were kidnapped were transported to the slave market in Algeria and most of them were never able to return to Iceland. Some died along the way; others could not adjust to the conditions of slavery, and a few eventually started new lives in the world of their captives. The inhabitants who escaped the pirates during the attack had hidden in caves and at cliffs along the ocean.